Bellamy Pailthorp ’85 is one of five fulltime news reporters at Seattle’s KNKX radio station, a local affiliate of NPR. In particular, she is in charge of tracking and generating environment news. It’s a job she says demands a high level of determination and tenacity. After graduating from Wesleyan University in 1989, Bellamy won a Fulbright and embarked to Berlin, Germany, to study dramaturgy. Because she spoke fluent German, she acted as an interpreter for American journalists stationed in Berlin. While there, she witnessed the Berlin Wall coming apart, and ended up staying in Germany for nine years covering the historic events of the fall of the Berlin Wall and its aftermath. 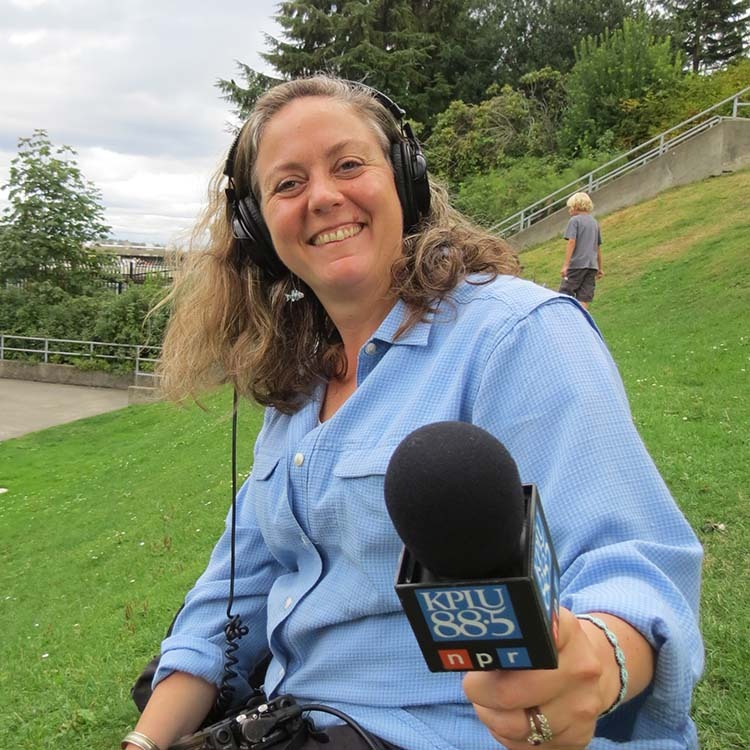 When Bellamy returned to the States and joined KPLU she worked first as a general assignment reporter and later specialized in economics reporting on the business and labor beat. In 2005-06, she took a year off and earned an advanced journalism degree at Columbia University through the Knight-Bagehot Fellowship program.